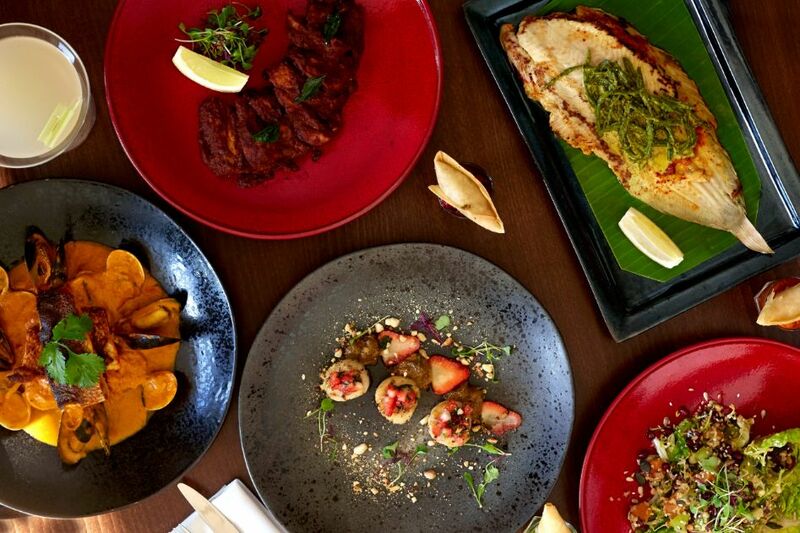 Pure Indian Cooking is the type of undiscovered gem you frequently find in Fulham, which is an affluent area but isn’t quite as central as the likes of Sloane Square and Chelsea. 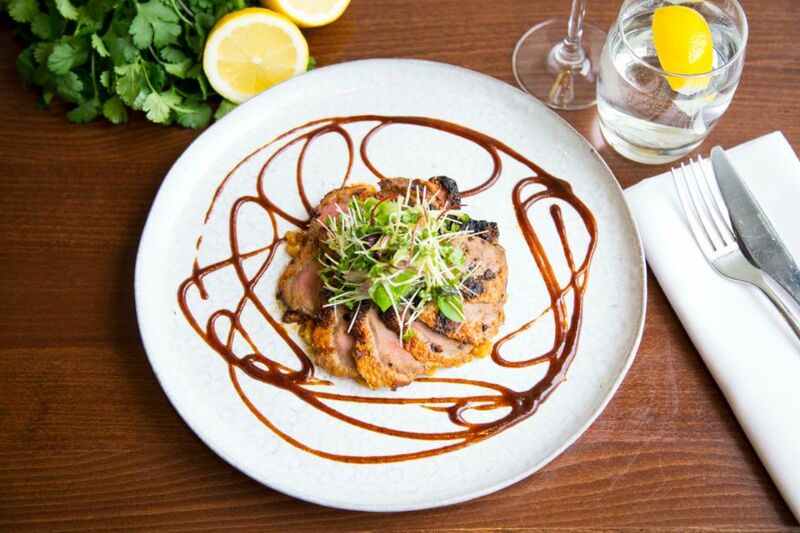 Husband and wife team, Faheem Vanoo and Shilpa Dandekar have brought their West End expertise into the running of this independent, family-style restaurant. Shilpa, who is the head chef-patron has worked with the likes of Raymond Blanc at Brasserie Blanc as well as Sriram Aylur from Quilon and brings real, authentic passion to her Indian cooking. 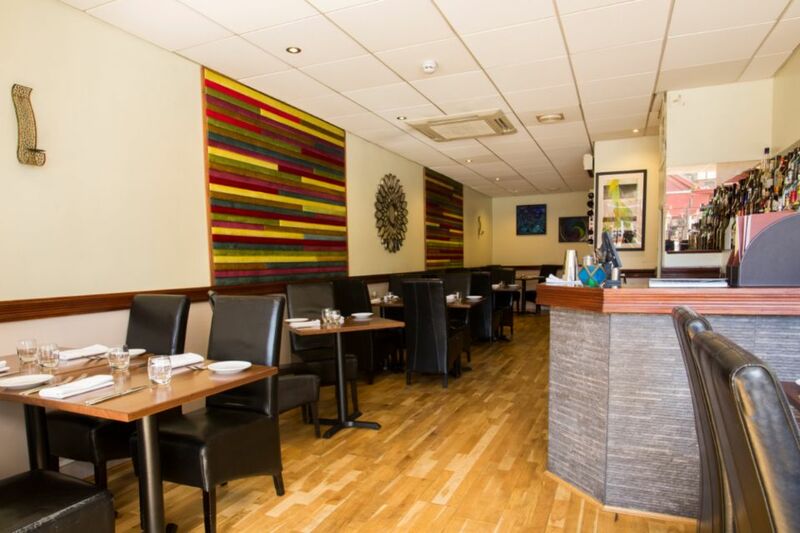 They have brightened up the decor in their restaurant with some colourful paintings and traditional artwork that gently hints at the nature of the cuisine they are offering without going into clichéd stereotypes. The restaurant’s name might be Pure Indian Cooking, but that doesn’t mean they don’t have interesting, exotic selections on their menu. Spinach & goat’s cheese samosas are served in three different shot glasses containing mint, tomato, and beetroot chutney. This is very much the type of presentation that I have seen in West End restaurants before and the chutneys have been carefully picked to cut across the strong flavours from the goat’s cheese. Their seared scallops could have been bigger in size, but there was nothing to fault in terms of the flavour or the execution with strawberry and fresh mint adding vibrant notes to the dish along with rhubarb ginger chutney. I went for another unusual choice for my main course in the form of crab kokum fry, which I haven’t seen on a menu in any Indian restaurant in London. 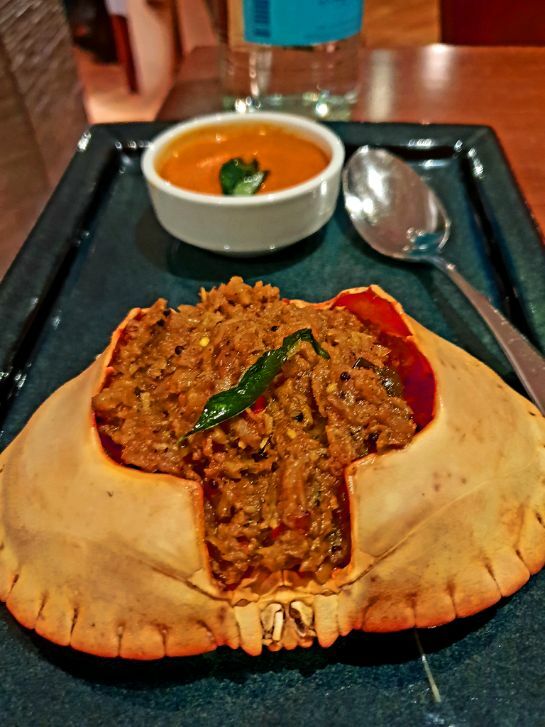 Every mouthful was a delight from start to finish with plenty of top quality Devon claw crab meat filling the shell and explosions of flavours coming from the ginger, green chilli, and kokum. My vegetarian friend went for the more mundane sounding chana masala, which is chickpeas cooked in tomato and onion masala. However, it was not less rewarding with the chickpeas cooked to just the right degree of firmness and the tomato and onion masala being a perfect accompaniment for their heartwarming rice and naan offerings. With autumnal weather fast approaching our shores, this is exactly the type of restaurant that should be on the top of everyone’s list to visit for the ultimate comfort food night out.